A truck drove through a crowded street in Stockholm on Friday, April 7th, killing four people and leaving over 15 injured. One suspect, an Uzbek man who had been denied asylum to Sweden, was arrested in connection to the attack. The attack was carried out when a man stole a beer truck while the driver was conducting his delivery. The driver attempted to stop the hijacker but ultimately was unable to. The attacker then drove the truck down one of Stockholm’s primary shopping street, traveling about 500 meters before crashing into the front of the Ahlens mall. The hijacker fled the scene, and a fire broke out. A manhunt began immediately, with the suspect arrested in connection he same day. The man, a 39-year-old from Uzbekistan arrived in Sweden in 2014. He applied for permanent residence in 2014, but his application was denied in June of 2016, and he was given two months to vacate the country. In February, his case was handed over to the police to deport him. Oddly enough, the Ahlens mall tried to reopen on Monday to sell “damaged goods,” which according to CNBC went over exactly as well as you would expect. Nice going, Ahlens mall. Great PR move. This is the fourth attack in Europe to be committed using a vehicle in the last year. Previous attacks in Nice and Berlin had also involved trucks, while the most recent attack in Westminster was committed with a car. However, the attacks in Nice and Berlin coincided with major holidays, while these two most recent attacks seem to be nonspecific in their target or goal, other than inciting mass panic. Daesh (more commonl known as ISIS) claimed responsibility for all the attacks mentioned above. 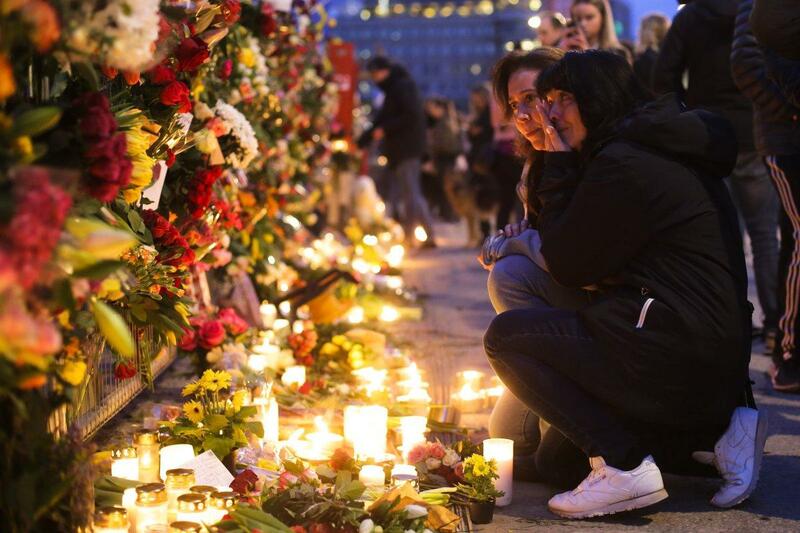 Wile it is not yet known whether the subject in the Stockholm attack was influenced by Daesh, Jonas Hysing, the Swedish national chief of police operations, stated that the suspect had expressed sympathies for various extremist organizations. The continual rise of extremist-based violence in Europe has caused some concern among officials in the US. James Clapper, the former director of national intelligence, said in April 2016 that “We continue to see evidence of plotting on the part of ISIL in” Britain, Germany, and Italy. President Trump campaigned on a growing sentiment of fear towards migrants, refugees, and extremist violence. In other horribly depressing acts of terrorism, two Coptic churches in Egypt were bombed on Palm Sunday, killing over forty worshipers and police, while injuring almost a hundred people. Daesh immediately claimed responsibility for the attack, and stated that it would continue to carry out more attacks in the future. The first attack took place at St. Mark’s Cathedral in Alexandria, where an attacker detonated a suicide bomb outside the gates of the church. The second attacker managed to get past security and move towards the front of a church in Tanta, an detonating a suicide bomb. Images from inside the church show destroyed pews and blood staining the floors and columns. Many of the victims were children and families attending the Palm Sunday services. In response, Abdel Fattah el-Sisi, the Egyptian president, announced he would create a special counterterrorism task force. He also declared a three-month state of emergency, a move that some critics saw as authoritarian, and evidence of Sisi’s strongman tactics. Coptic Christians are a minority in Egypt, and have been the target of several terrorist attacks in the past six years. The most recent attack, in December, killed at least 25 people.